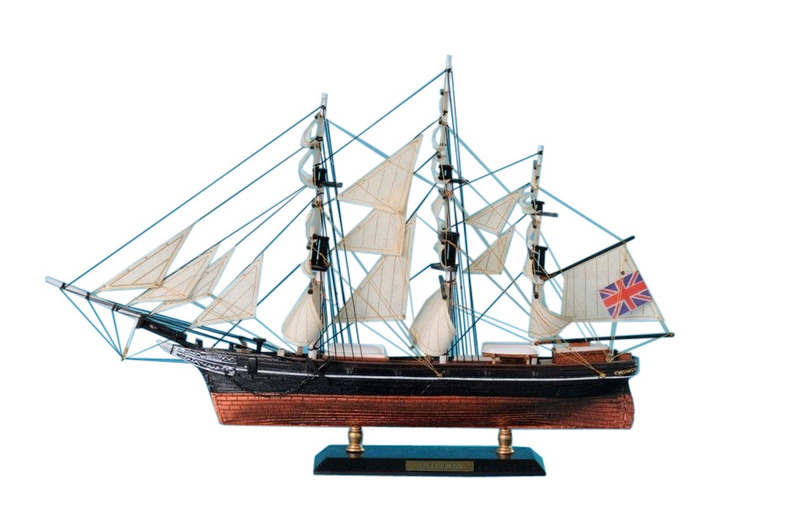 This Limited Edition model of the famous tea clipper ship Star of India displays a wealth of detail parallel to that of the historic vessel that is still sailing the seas today. Renowned for her speed and endurance sailing the open seas of the Indian Ocean, Atlantic Ocean and Pacific Ocean the Star of India will add the perfect nautical touch to your home. She is the second oldest ship still sailing regularly and the oldest iron-hulled merchant ship still floating. This model ship is the perfect gift to give to an executive or a historian with an affinity for naval ships.